It's often fun to take a classic photograph from a different era and rework it in the modern world. I like to photograph in downtown Phoenix very early on Sunday mornings, even in (especially) summer. I am from the East Coast and you can not find a street in New York City at any hour of the day that does not have at least one person on it. 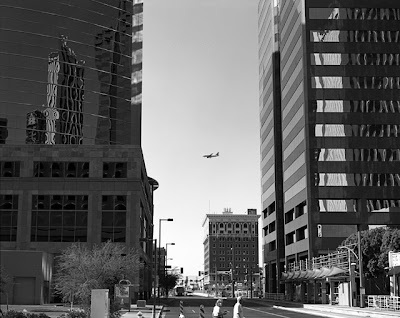 Phoenix, the fifth largest city in America, is sometimes a virtual ghost town, especially when I am there. I had gone down to photograph the reflections off the Dodge Building one morning. I made a few negatives in the parking lot adjacent to the building, more along the lines of Brett Weston, with strong contrasts and wavy abstract lines. Then I moved across the street to try and get the entire curved glass facade in. While setting up the camera I noticed that airline jets were landing behind the building (the Eastern approach to Phoenix Sky Harbor Airport is directly south of here). I went to the corner of Central Ave. and Adams St. and was fascinated. The planes seem to disappear into the Dodge Building when they go behind it. It also brought back terrible memories of 9/11. After thinking it through I moved my 8x10" camera onto Central Ave. I was able to do this because they had one lane blocked off for light rail construction. I had to time everything perfectly... watching and listening for incoming planes from the West as they passed behind and in between other tall buildings. Then, I had to click the shutter when the plane was in the middle of the two buildings. I was able to make a few exposures before I ran out of film. Most had no people in them, but I got lucky with this one. There are, of course, obvious differences, but the main themes are all there. A city street with tall buildings, a mode of public/mass transit in the background, and people in the foreground. You have to provide me a way of knowing who you are and how to contact you. Screen names like "Info" and "Tv1Iq0wVsYgpNCBnyt3Z5nsAYNCtjQ" with no other information don't cut it. Sorry, but I have to be practical here. If I can't go to your blog or website, you are ineligible. I have to be able to contact you. Sorry, that's the rules. For an example see "Nonkn4mer" entry. Although most of my photographic inspiration has come from other photographers and photographs, sometimes it comes from other disciplines. After graduating from college I took several courses just to keep busy. One was a Gallery Management class at William Paterson College (now University). I enjoyed this class a lot. It involved everything that goes along with operating a gallery, from selecting artists and shows to marketing to shipping. My professor even approached me about a Masters degree where I would work the gallery and take other art classes in return for a Master's degree. I received opposition (I won't go there) about this offer and began my working career instead. Making $11,700 a year in 1983 was a lot more enticing than a free Master's degree. And, looking back on it now, I made the right decision. One good thing that came from this experience was a painting. We were hanging the student art show and this one painting was hung at the end of the gallery. Up close it was purely abstract, but standing at the other end of the gallery I saw "the face". I asked the curator about the artist. He was a student at WPC, Sal DiBenedetto. I got his phone number and talked with him about the painting. 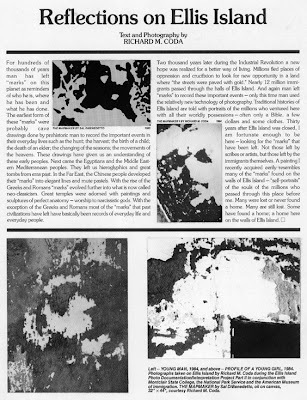 He said he got the idea from a story that after Hiroshima was bombed in WWII there were reports of the face of Jesus being seen in the mushroom cloud. This was his interpretation of that story. As most people who believe in a Creator think that He created the Heavens and the Earth, Mr. DiBenedetto has titled his work "The Mapmaker". I now own this painting, which I bought for $250 in 1984 when Sal needed rent money. I can't tell you how many people who have seen this painting don't see the face. Anyway, fast forward a few months to summer 1984. I was working on the Ellis Island Documentation/Interpretation project with Montclair State College and the National Park Service. As I had mentioned in a previous post, I became fascinated with the peeling paint on the walls at Ellis Island. When I walked into this one room my jaw nearly hit the ground. From across the room... there was "the face" again. I could not believe it. And with the history of this place I can only imagine how many new citizens saw Jesus here. I set up my 4x5 and made the exposure. During this project I made a number of other images which I am trying to work into a small portfolio of 4x5" contact prints this year. Below is a cover article I designed to go along with my images as part of my presentation for a grade. In college we learned about Alfred Stieglitz, and his importance to the history of photography. I was never impressed with his photographs, overall, back then. But I have come to understand why he photographed many of his images. 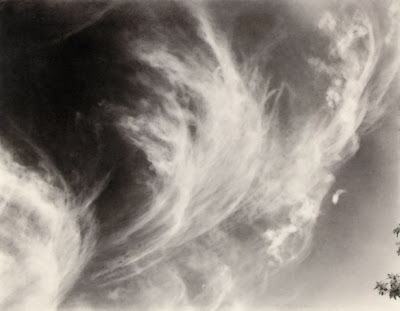 I think that Stieglitz is more revered for the photographers he influenced and promoted than for his own photography. Anyway, here is an image that I was inspired to make based on my understanding of equivalence. 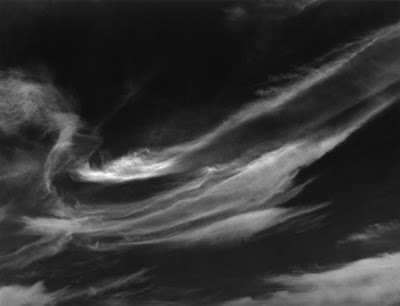 Brett Weston has been a strong influence in my work, especially my early work. His strong graphic compositions are a pleasure to view. 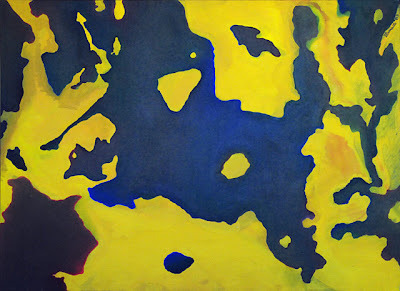 His use of high contrast is also apparent throughout his life's work. 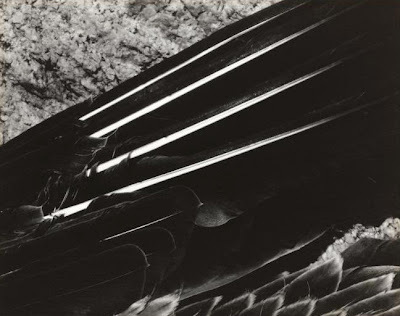 You haven't seen black in a photograph until you have seen a Brett Weston print. I was on a weekend trip to Montreal in 1985 and we were walking around sightseeing. I passed this poster that had most likely been through a Montreal winter or two. It was torn up pretty badly. I only had my 35mm with me on this trip so I stopped and took a few frames. In reality, the image should be rotated 90 degrees counter-clockwise, but when I originally previsualized this image I rotated it to a horizontal image. 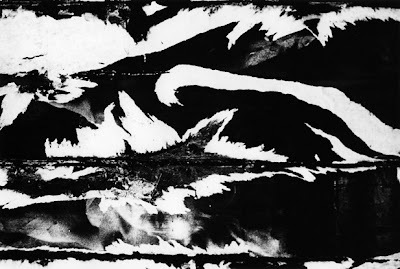 I was struck by the contrast and the lines and it did remind me of Brett Weston's Mendenhall Glacier. If any students are out there reading this series I guess what I am trying to say is that by studying photographic history and seeing as many photographs (or paintings) as you can, be it in books, galleries or museums, is a great way to cultivate your eye and develop a style of your own. While these two images have absolutely nothing in common subject-wise, they do share many traits on several other levels. 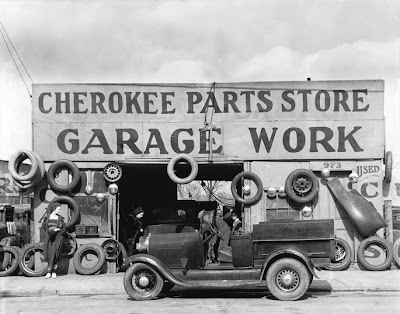 In addition to Edward Weston, another of my early influences in photography was Walker Evans. 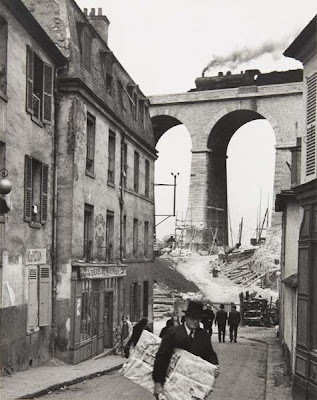 His straightforward photographs of everyday life during the Great Depression deeply impacted my "style". Recently I have been thinking a lot about my style... Where did it come from? Who is responsible for it (besides me)? Most importantly, where is it going? These are all difficult questions and the answers can be quite complex. Where did it come from? Probably from a mix of the places I have lived. England (although I have no conscious memory of it), Orange, NJ (in the 1960s), Pompton Lakes, NJ (in the 1970s), New Brunswick, NJ (college years), Fair Lawn, NJ (post-college), Lyndhurst, NJ (beginning married life). I would say these places all influenced how I saw my surroundings. These are all old places, and I seem to be drawn to old subjects. Who is responsible? I think I have narrowed it down to a combination of Edward/Brett Weston, Walker Evans, and George Tice. Of all of these I have to lean towards Tice. 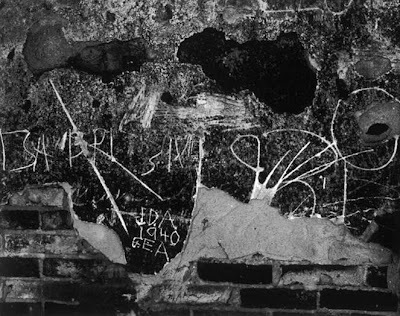 He is also a New Jersey photographer, and indeed we have seen the same things albeit at different times and in different eras. In fact, I entered a national contest once by the Photo Review. Mr. Tice was the juror. I submitted a photo from Paterson, NJ (one of Mr. Tice's stomping grounds) and was honored with second place and $200. 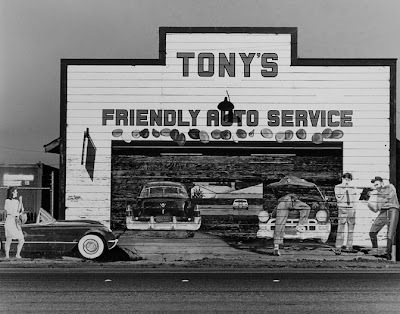 More on George Tice in subsequent Inspirations posts. Now the tough one... where is it going? I don't know. I continue to seek out things that have been forgotten, overlooked or never looked at, period. But I have also recently embraced color. Will that change the way I see things? My love for line, form, tone and abstraction are still strong. It will get interesting I can assure you. I'll just have to wait and see. Above is another inspiration. One a trip to Carmel in 1989 I passed this Trompe-l'œil painted structure in Salinas, CA, on Rt. 68 on the approach to the Monterey Peninsula. The brilliant whites originally caught my eye and then the beautiful paint work. I made a point of noting the time and returning the next day with my 4x5" camera. Setting up on the shoulder on the opposite side of the highway I had to wait 45 minutes for a break with no cars passing into view. It was well worth the wait and I thank Mr. Evans for his inspiration. Installment number 2 in my "Inspirations" series. We're talking Wings today. 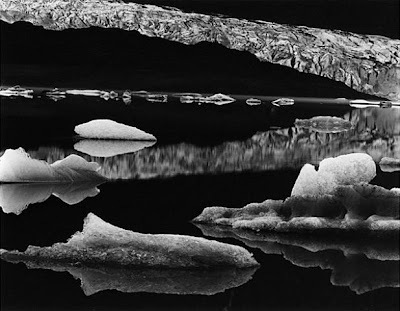 As I mentioned in Inspirations #1, I had started studying Edward Weston's work after graduating from college in 1982. In 1984, I was accepted into a summer Independent Study program at Montclair State College in conjunction with the National Park Service. The program lasted 6 weekends and the objective was to assist the NPS in documenting and interpreting Ellis Island prior to its first major restoration. The first part of the project, documentation, was to do whatever the NPS asked us to do for the first three weeks. We were each given an area or building to cover each weekend. We were to photograph as much as we could, develop the negatives (or slides), make prints and turn everything over to the Park Service. Our reward, the interpretation, was that we would be allowed to do whatever we wanted to photographically, the final three weekends (within safety and NPS bounds, of course). 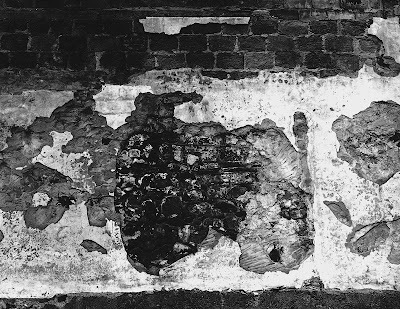 While most everyone focused their attention on architecture, I was drawn to the peeling paint patterns on the walls. I actually have a set of images that I plan to print as a portfolio of 4x5" contact prints titled "The Faces of Ellis Island". I found many anatomically correct faces and profiles in those peeling walls. I will post those in another blog entry in the near future. One day, in search of more paint, I found a large room that had huge windows. Most of the windows had holes in them from decades of abandonment, neglect and vandalism. Pigeons, by the thousands, had found their way into the room, but many did not find their way back out – knocking themselves silly trying. They were lying everywhere. Many were too far gone to be of any use photographically, but I did find one that was still in pretty good shape. I moved it into better light and made a few photographs with my 4x5" camera. This is the best of them. Printed on the old Oriental Seagull graded paper, this image has deep blacks, brilliant whites, and steely grays all in one image. When I saw the pigeon, the first thing I thought of was Weston's Pelican Wing. 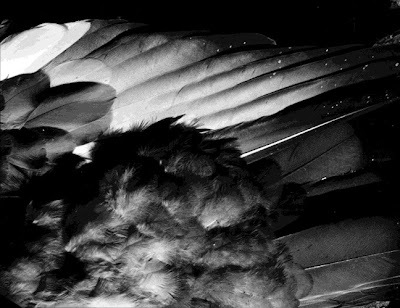 It, too, had deep blacks, brilliant white quills, and beautiful grays. I thought "here is my chance to make a Weston". I am pleased with this image... I hope you are, too. OK, I'll admit it... 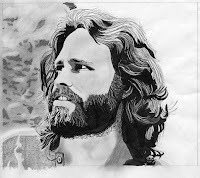 I am a Doors fan. Always have been. I never got to see them live because I was too young. And I wasn't allowed to listen to them (strict father). But I was a fan nonetheless. 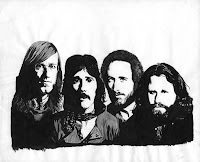 I finally did get to see The Doors (of the 21st Century) at the Roseland Ballroom in New York before I moved to Arizona, and even though it was only half the band, the show was still incredible. Before I got interested in photography, and before my eyes went south, I drew. Mostly pencil and ink. Above are a few drawings from the late 1970s. I have not drawn again, ever since I made my first photograph with my father's Speed Graphic in 1981. Now the fan part. I am looking for followers. I know there are some of you out there... I just don't know who. 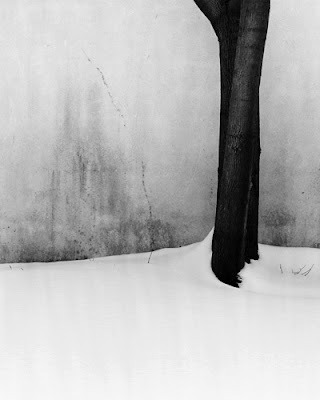 The first* person to sign up as a follower of this blog will receive a free vintage (printed in 1984) silver gelatin print of Two Trees in Snow, Pompton Lakes, 1984 (image size approximately 6.5x7.75") shown below. Everyone* else who signs up as a follower before midnight March 31 will be registered in a random drawing for a free vintage print (printed in 1984) of Clouds #28, Pompton Lakes, NJ, 1984 (image size approximately 6.5x8.375") shown below. *Members of Imageworks and Scottsdale Community College LF Photo class are not eligible as we regularly trade prints anyway. Limited to residents of the United States only due to prohibitive shipping costs. **In the event an ineligible contestant wins, the next eligible person will be deemed the winner. At our monthly Imageworks meetings we always have a business portion, a program, and mandatory scheduled member print showings. Recently we came up with the idea of letting groups of members select and present programs on a quarterly basis. One of the ideas I came up with was to do a presentation on "inspirations" or "influences". As photographers, and artists, we are all influenced by other artists' work. I thought it would be a good idea to explore this as it not only shows us where we came from [as artists] but, more importantly, where we are going, as well. At our next meeting Juan Garcia, Greg Hunter, and I will be presenting our inspirations. When I was just starting out in large format photography in the early 1980s I had started reading about Edward Weston. I bought several books on his work, including the [required reading] Daybooks. I was intrigued by his images of ordinary objects and scenes. His use of line, shape and tone were incredible, transforming the subjects into something more. I began looking at my surroundings more carefully, even while driving to and from work. This image was a few blocks from where I worked in Paterson, NJ. I can't tell you how many times I drove past it before I finally decided to go in early and bring the 4x5" camera to work. There are probably 150 years worth of building materials exposed on this foundation wall, and I realized that one day, and without notice, this would all be gone. I am glad that I was able to capture the image and that I was inspired to do so. Every three months we have a "theme night" at our large format photography club, Imageworks. The theme this time was "Windows" and it could be interpreted VERY loosely by participating members. Of the seven members who participated, there were a variety of images presented, ranging from the "traditional" window, to a trash can with some sort of "eye" artwork on it (The eyes are the windows to the soul). Above is my contribution. I had been out photographing one Sunday morning in January on McDowell Rd. in Phoenix, near 16th St. There was a Barber Shop I wanted to get with my 8x10 camera. 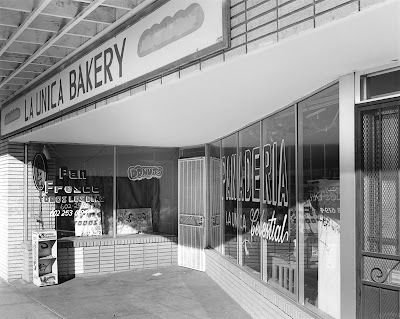 After I shot that I walked past this bakery. Had to stop. The sun was changing rapidly and I didn't want to lose the shot. I set up my 8x10 camera and proceeded to focus. As there are so many planes of focus in this image, it took quite a bit longer than usual, and even then I had to stop down to f90 on my lens with a swing. I received some nice comments on this print so I guess I'll keep it! 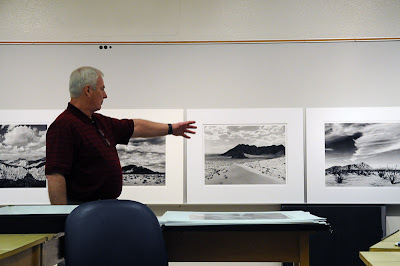 We had the privilege of having Jody Forster show prints at our Large Format class last night. Jody is a personal friend of our teacher, Rod Klukas. Jody is considered one of the finest black & white printers in photography today. He has studied with Ansel Adams and Oliver Gagliani. One of the last great landscape photographers, he has devoted his life to his art. Although he focuses on the American Southwest, he also has significant bodies of work from the Himalayas and Antarctica. 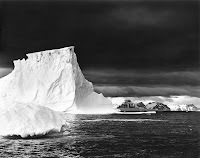 He has twice been awarded National Science Foundation grants to live and photograph in Antarctica. Keep in mind all this work was done with large format cameras, mostly 8x10" and 5x7". 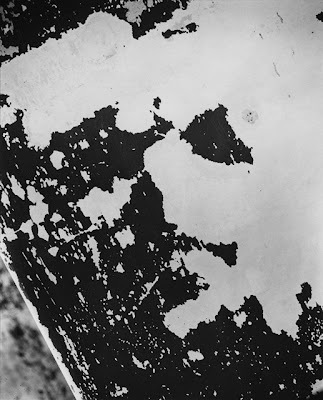 In addition to his black & white Desert work he showed color work from Nepal and Antarctica, as well as an image made from an Air Force reconnaissance plane with a "hand-held" 5x7" camera (below). Jody also brought some new 32x40" silver prints. Stunning is the only word I can muster after viewing these great images. If you are a collector of fine photography, Jody's prices cannot be beat. His 20x24" silver prints start at $800, and his new 32x40" silver prints are priced between $2200-$2500. A bargain considering some of the so-called "art" being pushed on us these days. The Palm Springs Photo Festival (Mar. 29-Apr. 3) is having a free online slideshow contest. Deadline has been extended to March 9 for submissions. 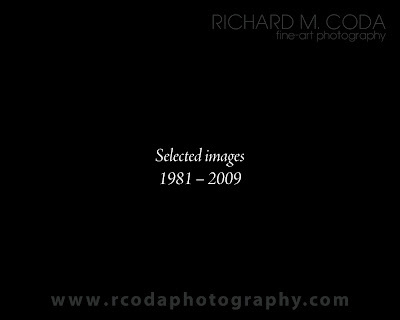 I submitted an entry covering my work from 1981-2009. I thought it was pretty neat so I'm posting a link to it here as well.